When the Indian economy and its banking sector emerged relatively unscathed after the global financial crash of 2008, India’s financial system became the envy of the world. That seems a distant memory today as the banking sector of the country reels under one of the worst crises it has faced in a long time. A mounting pile of bad loans, poor accounting standards and growing evidence of lax supervision and banking fraud—unearthed over the past few weeks by several government agencies—highlight the deep rot at the core of India’s financial system. The broad numbers also tell the same story. In 2009, India had among the lowest ratio of non-performing assets among the largest economies of the world, which form the elite G-20 club. Eight years later, it has among the highest ratio of such assets, as the chart shows. To be sure, when a combination of regulatory forbearance and poor accounting standards may have served to hide the real extent of the bad loan problem. The fact that India’s bad loan ratio looks grim today has a lot to do with the fact that India’s central bank has been prodding banks to recognize such toxic assets over the past few years—after long years of quiet forbearance. Be that as it may, the rise in bad loans and the lack of adequate provisions has put Indian banks in a tight spot now. India’s banking sector lags those of most other large economies in terms of capital adequacy. Capital adequacy refers to the ability of a bank to withstand significant losses on its risky assets. India fares poorly in this regard despite a relatively conservative loan-to-deposit ratio. What makes matters worse is that the actual capital adequacy in Indian banks might be much worse than reported. To illustrate, if we assume the entire fraud amount of Rs12,700 crore as loss for the Punjab National Bank (PNB) then its capital adequacy ratio (CAR) in December 2017 would have stood at 9% instead of the reported figure of 11.6%. The RBI has set 9% as the minimum threshold for total CAR. Total CAR refers to total equity and reserves of a bank, expressed as a percentage of its risk-weighted assets. Also, there are reasons to believe that all of India’s bad loans may not have been accounted for yet. The latest quarterly results of the country’s largest lender, the State Bank of India, in which the bank posted surprise losses on account of higher-than-anticipated bad loans, shows that the bad loan saga may not be over yet. SBI officials have, of course, claimed that the worst is over. However, given that they have been making that same claim repeatedly since 2010, their words should be taken with more than a pinch of salt. While the bad loan problem is more acute among state-owned lenders such as SBI, even private banks may not be fully accounting for their share of toxic assets. If more skeletons tumble out of banks’ cupboards, and the pile of bad loans grows even bigger, India’s capital adequacy ratio could slip to dangerously low levels despite a generous bank recapitalization announced late last year by the Union government. The IMF had conducted stress tests on India’s fifteen largest banks—12 public sector banks and three private banks—last year. In its report released in December, the IMF said the overall system is quite resilient and 64% of the assets of the top 15 banks are with the ‘resilient’ ones. But the other banks, comprising the remaining 36% of assets, will find themselves in a precarious position even under baseline assumptions. All of the latter set of banks are state-owned, the report noted, without revealing the names of the banks examined. Under an adverse stress scenario, nine out of 12 state-owned banks will breach “hurdle rates”, i.e. rates prescribed by Reserve Bank of India for various capital adequacy ratios, according to the stress test report. That something is rotten in the state of state-owned banks has been known for quite a while. A committee to examine the weakness in state-owned banks and to suggest reforms was set up by the Reserve Bank of India more than four years ago under the chairmanship of P.J. Nayak. The Nayak committee submitted its report almost at the same time as the National Democratic Alliance (NDA) government was sworn in, during the summer of 2014. Yet, three-and-a-half years down the line, very few of the committee’s recommendations have been acted upon. Among other things, the committee had flagged the issue of inadequate compensation for top management in state-owned banks compared to peers in private banks. This affects the ability of state-owned banks (or public sector banks) to attract and retain talent. The Nayak committee had recommended diluting the stake of the government in PSBs below 50%, so that banks could be freed from external vigilance emanating from the Central Vigilance Commission, the Right to Information Act, and from government constraints on employee compensation. It also proposed creation of a Bank Investment Company to act as the holding company for various PSBs. However, there has not been much progress in reforming the way PSBs are governed. 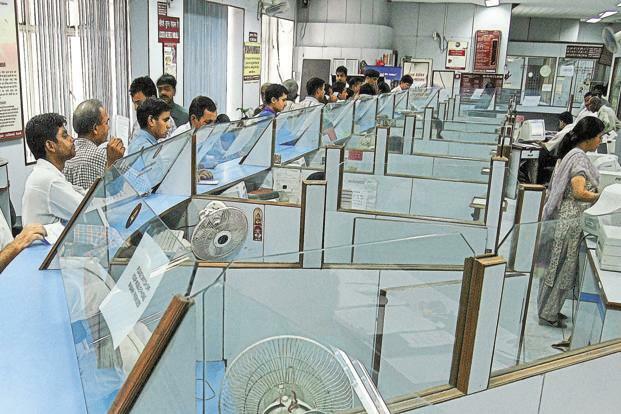 The newly constituted Banks Board Bureau too has been unable to make much of an impact. Repeal various acts such as the Bank nationalization Act (1970, 1980), SBI Act, SBI subsidiaries Act, etc. to allow government stake in PSBs to fall below 50%. Not implemented. Create a Bank Investment Company (BIC), which would act as a holding company for various public sector banks (PSBs) and hence improve autonomy in functioning of PSBs. Not yet created. Set up a Bank Boards Bureau (BBB) until the creation of BIC. The Bureau would advise the government in appointing board members to banks, bank chairman/CMD and executive directors. BBB was set up in 2016. However the extent of authority enjoyed by the Bureau remains questionable. RBI should designate a specific category of investors as authorized bank investors (ABI), and allow them to hold upto 20% in banks without regulatory approval. Not implemented. RBI caps the shareholding by a single entity at 10%.